It has been more than two decades since I left my school, but this quote, which I read during my school days, has stayed with me till date. In fact, it has helped me deal with negative people who always resort to insults in order to hurt you and pacify their own insecure egos. 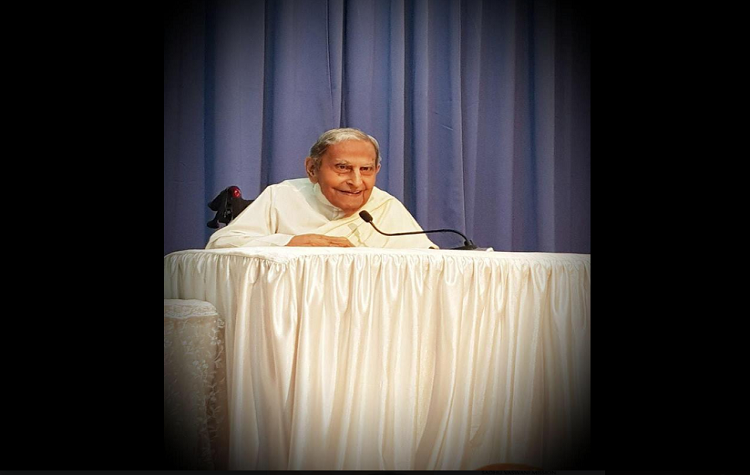 The news of Dada JP Vaswani’s death on Thursday made me recall how his teachings and sayings had contributed immensely to my student and later my professional life. I have always loved to collect quotes. Having studied in Sadhu Vaswani International School for Girls (Delhi), we often would come across quotes by Dada J P Vaswani. It was on one such occasion, while browsing a booklet about him, I came across the above mentioned quote, and instantly fell in love with it. All these years, it guided me but it was only yesterday that I realised how some people leave an indelible mark in your life, without you even knowing it. I must admit, I wasn’t an ardent follower of Dada, but I have always respected him for his work, views and passion for education of the girl child. It was in one of his interactions with us, as school students, that I first heard the famous saying, “If you educate a boy, you educate an individual; if you educate a girl, you educate a family.” At that time, I didn’t understand it. But as I began exploring the world outside the school, I realised the wisdom in these words. And with that I began to respect people who are working in this field.